Corfman says that Moore took her to his home, put his arm around her, and kissed her. Corfman told the Post that she had asked Moore to drive her home because she was feeling nervous and he obliged. “Soon after, she says, he called again, and picked her up again at the same spot,” the Post story reports, without providing an exact timeline. That is when Corfman says that Moore drove her back to his house, touched her body, and guided her hand to his underwear. Corfman says that she yanked her hand back. “She says that after their last encounter, Moore called again, but that she found an excuse to avoid seeing him,” the Post story continues. A thorough search of court documents finds one court case in February 1979—a case that took place on February 21, 1979. The Post failed to tell readers that at that February 21, 1979, court case Wells voluntarily gave up custody of Corfman to Corfman’s father, Robert R. Corfman. The two had been divorced since 1974. The custody case was amicable and involved a joint petition by both parents. The Post further did not tell readers that as a result of the joint petition to change custody, the court ordered the 14-year-old Corfman to move to her father’s house starting on March 4, 1979. Court documents show the father’s address in Ohatchee, and not in Gadsden, where her mother lived and where Corfman says the meetings with Moore took place. This would mean that from the court hearing on February 21, 1979, until Corfman was ordered to move to her father’s house, Moore would only have had 12 days, including the day of the court hearing, to have repeatedly called Corfman at her mother’s Gadsden house, arrange two meetings, and attempt another. Moore has strenuously denied the accusations. While that timeline is theoretically possible, the Moore campaign stressed in a press conference today it is unlikely. Ben DuPre, Moore’s former chief of staff on the Alabama Supreme Court, spoke today on behalf of the campaign. DuPre noted that “as best as we can tell” the February 21, 1979, case was the only court movement to have taken place that month. Breitbart News also could not find another court document from that month in 1979. The disclosure raises questions about why that twelve-day window was not mentioned in the Post story or by Wells or Corfman in subsequent interviews. Neither Corfman nor Wells publicly mentioned the change in custody during the critical period where Moore was said to have arranged meetings with Corfman outside her mother’s home. Earlier this month, Breitbart News interviewed Wells and she discussed Moore’s alleged calls to Corfman as taking place at her home. Breitbart News reviewed the custody and divorce documents in full. The custody arrangement allowed for “reasonable rights of visitation” for Wells, including on alternate weekends and full custody for one week starting on December 24. However, that one week of custody in December does not fit into the timeline of Moore allegedly arranging meetings days after the February hearing. There is another detail in the custody documents that raise questions about Corfman’s story. 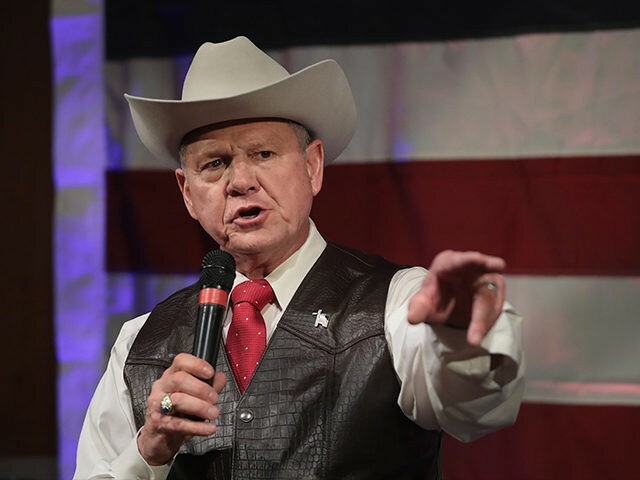 The Post strongly implied that the alleged encounter with Moore caused Corfman to exhibit reckless behavior in her teenage years. The Post failed to mention that the very reason for the February 21, 1979, court hearing where Moore allegedly met Corfman was because, according to the court documents, Corfman had exhibited “certain disciplinary and behavioral problems.” In other words, Corfman evidence behavioral problems prior to the alleged encounters with Moore. Indeed, those stated “disciplinary and behavioral problems” were cited in the joint petition to change custody as the cause for both Wells and Corfman’s father agreeing that Corfman would be better served living with her father. The parents signed a “consent decree” going along with the change in custody. Over one year later, on May 5, 1980, which would have been after any alleged encounters with Moore, Wells filed a new petition to take back custody of her daughter. That petition stated that Corfman’s “disciplinary problem has improved greatly.” The stated change in behavior is important since Corfman’s “disciplinary and behavioral problems” were cited as the reason for the father taking custody. The judge apparently agreed with Wells’ assessment of Corfman’s improved behavior and granted Wells custody on October 15, 1980. At today’s press conference, DuPre also mentioned Wells’ interview with this reporter in which Corfman’s mother contradicted a key detail of Corfman’s story. Speaking by phone to Breitbart News, Wells, 71, says that her daughter did not have a phone in her bedroom during the period that Moore is reported to have allegedly called Corfman—purportedly on Corfman’s bedroom phone—to arrange at least one encounter. The Washington Post cited Corfman as remembering that she provided Moore with her number when she was 14. She said that she spoke to Moore from what she described as the phone in her bedroom. In yet another detail called into question at today’s press conference, DuPre referred to the exact spot mentioned in the Post story as the alleged meeting place for Corfman’s claimed encounters with Moore. DuPre said that intersection was almost a mile away from her mother’s house at the time and would have been across a major thoroughfare.